productive forces: these include human labour power and means of production (e.g. tools, equipment, buildings, technologies, knowledge, materials, and improved land). social and technical relations of production: these include the property, power, and control relations governing society's productive assets (often codified in law), cooperative work relations and forms of association, relations between people and the objects of their work, and the relations between social classes. "Not only must weapons be bought and paid for out of surpluses of capital and labour, but they must also be put to use. For this is the only means that capitalism has at its disposal to achieve the level of devaluation now required. The idea is dreadful in its implications. What better reason could there be to declare that it is time for capitalism to be gone, to give way to some saner mode of production?" [U]p until now 'progress' has affected existing social realities only secondarily, modifying them as little as possible, according to the strict dictates of capitalist profitability. The important thing is that human beings are profitable, not that their lives be changed. As far as is possible, capitalism respects the pre-existing shape and contours of people's lives. Only grudgingly, so to speak, does it bring about any change. Criticism of capitalism as a contradictory 'mode of production' which is dying as a result of its contradictions is strengthened by criticism of capitalism as the distributor of the wealth and 'progress' it has produced. Capital, explaining the origins of the capitalist mode of production, points towards the inevitable historical decline and fall of this same social system. An economic theory based upon the historical relativity of every economic system, its strict limitation in time, tactlessly reminds Messrs the capitalists, their hangers-on and their apologists that capitalism itself is a product of history. It will perish in due course as it once was born. A new social form of economic organization will then take the place of the capitalist one: it will function according to other laws than those which govern the capitalist economy. 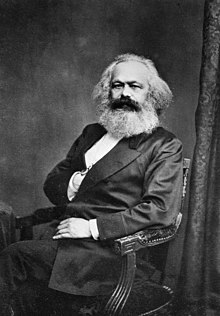 By stating that the analysis of the laws of motion governing the capitalist mode of production necessarily includes at least some essential elements of an analysis of economic phenomena valid for the whole historical epoch encompassing economic organizations in which commodity production exists, one extends the validity of parts of Marx’s Capital not only into the past but also into the future. When the dialectical method is applied to the study of economic problems, economic phenomena are not viewed separately from each other, by bits and pieces, but in their inner connection as an integrated totality, structured around, and by, a basic predominant mode of production. This totality is analysed in all its aspects and manifestations, as determined by certain given laws of motion, which relate also to its origins and its inevitable disappearance. These laws of motion of the given mode of production are discovered to be nothing but the unfolding of the inner contradictions of that structure, which define its very nature. The given economic structure is seen to be characterized at one and the same time by the unity of these contradictions and by their struggle, both of which determine the constant changes which it undergoes. In the social production of their life, men enter into definite relations that are indispensable and independent of their will; these relations of production correspond to a definite stage of development of their material forces of production. The sum total of these relations of production constitutes the economic structure of society — the real foundation, on which rises a legal and political superstructure and to which correspond definite forms of social consciousness. The mode of production of material life determines the social, political and intellectual life process in general. It is not the consciousness of men that determines their being, but, on the contrary, their social being that determines their consciousness. It is the historical mission of the capitalist system of production to raise these material foundations of the new mode of production to a certain degree of perfection. At the same time credit accelerates the violent eruptions of this contradiction - crises - and thereby the elements of the old mode of production. Eric Wolf Europe and the People Without History (1982) Chapter 9, Industrial Revolution, p. 267.